Every person as a member of a national economy gets into contact with economizing things, starting with the purchase of food at the supermarket, the weekly visit of the cinema up to accepting and practicing a profession. These activities have one in common: The goods, which are treated, are traded at markets and are determined by supply and demand. At the same time, we influence the prices by our own images. If we accept a job offer, the conditions are important for us, if we buy food, we are only pay as much as we are willing to pay. With our actions we are part of the economy and the economy is part of our life (see Hartmann 2015, p. 13). The markets adjust themselves but without taking into account vulnerable groups of the population. To compensate the disadvantage of these groups, the government uses different mechanisms (see Mankiw et al. 2012, p.142 ff.). Which mechanisms the government use and what they cause, will be shown in the present assignment using the example of the milk quota. To achieve this, the methodology of the present assignment is described first, before the theory of supply and demand is explained. The equilibrium of both dimensions is expounded and afterwards the possibilities of the government to influence the equilibrium of demand and supply are explained. 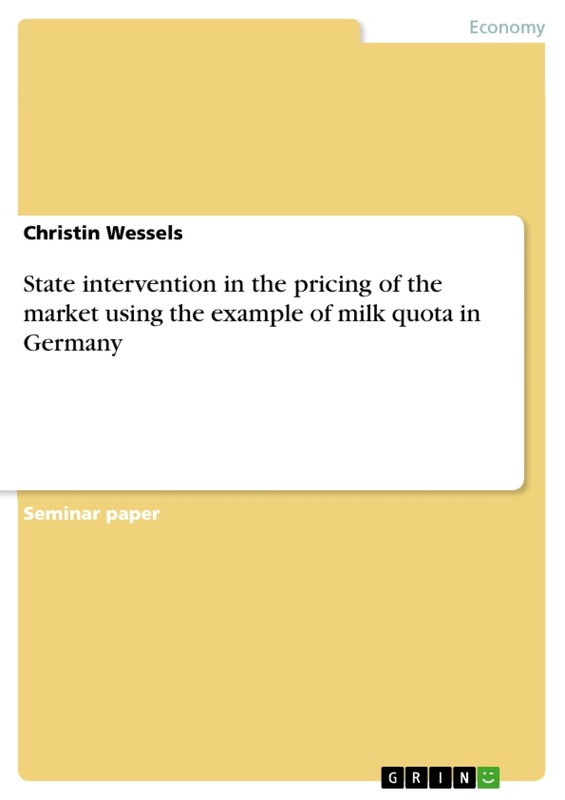 In the fourth chapter the milk quota is introduced as a state intervention to regulate the market. In addition it is explained, why there was the need of a milk quota, how it functioned and the advantages and disadvantages of the quota are shown. 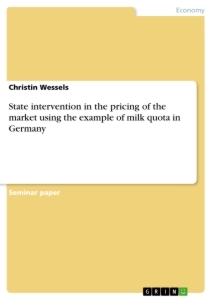 Finally state interventions in the market at the example of the milk rate will be discussed and an outlook will be given. The methodical basis of the present work is a detailed literature search. This is carried out by the help of relevant specialized literature, professional databases and the Internet. 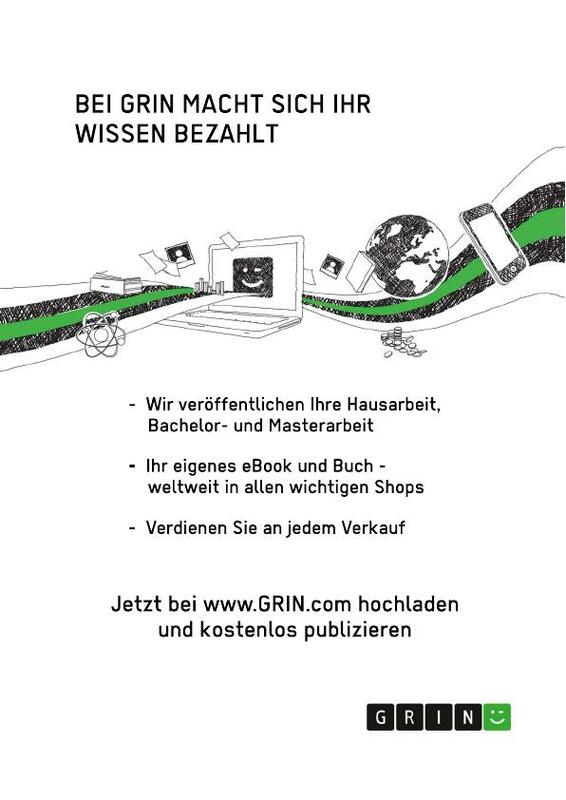 The relevant specialized literature is procured with the help of the library of the University of Dortmund. As professional databases the Springerlink and wiso were used. The Internet serves with the searching machines Google books and Google scholar as a medium to find information. Books in electronic form are covered about the eBook supplier ciando. Other important sources are the websites of the Federal ministry of food and agriculture and Deutscher Bauernverband e. V. As key words the terms supply, demand and milk quota were used. The following chapter deals with the coming together of supply and demand. Before describing this mechanism, the units supply and demand will be defined and the interaction of these units will be described. At least the possibilities of the state to intervene in these interactions and to influence every unit will be shown. The term market is a theoretical area, where supply and demand meets each other. Market describes a situation, where groups of buyers and vendors take part. The buyers are interested in goods while vendors make offer for the goods, the buyers are interested in. If the interests of the buyers to a defined good come together with the offer of the vendors to this defined good, the market is built (see Freiling et al. 2004, S. 78). The main tasks of the market are to inform the market participants about the goods presented at the market, to give the possibility to find an agreement between the participants and to arrange the exchange of the good (see Freiling et al. 2004, S. 78). Figure 1. The market is limited by criteria like objective, temporal, spatial and market steps covered by the good. Also covered in the market boundary is the subjective readiness of the purchaser, what to give for the good. The criteria objective describes, which result will be supplied and purchased on the market, the temporal criteria limits the market by a special period of time, for example seasonal or yearly availability. The spatial boundary depends on the region or city, where the market takes place and at least the boundary is restricted by the market step covered, for example ready to use goods (see Freiling et al. 2010, p. 96). The level of the organization of markets could be different. Markets could be well organized, where supplier and purchaser meet at a fixed time at a appointed place, for example when an auction takes place. But most of the markets are not well organized. An example is the local ice cream market. The vendors are placed at different places in a town and offers different sorts of ice cream. The purchaser has to decide by himself, where he wants to buy the ice cream (see Mankiw et al. 2012, p. 77f.). To purchase a good, the consumer has to give something back. In most economies around the world, the common possibility is to pay money. The price of a good is an important signal and gives information to the consumers and the sellers. On one hand the consumer has to decide, if the price is appropriate for the good. They won’t buy the good, if the price doesn’t fit with their vision - the price is too high. On the other hand the producer won’t sell the product to a price, which is too low. Higher prices will be attractive to the producer to sell the good and to raise the quantity of the product (see Dransfield et al. 2002, S. 6). The following chapter describes the functioning of the market by describing the units demand and supply, and shows, how the price for a good is set. Demand is defined as the quantified request of the consumer for a good. This request is characterized by the aspects, that the consumer has the needed resources to buy the good and is willing to buy the good (see Mankiw 2012, p. 80). The demand can be illustrated by a demand curve, shown in figure 2. The curve illustrates, how the demand of a good is related to the price of the good. The demand for the good descends, the higher the price goes (when all other factors are equal). This phenomena is called the law of demand. The amount of demand depends negatively to the price (see Mankiw 2012, p. 80). The demand is influenced by several facts, which causes a shift in or a movement along the demand curve. A movement of demand occurs, when the price of a good is changed, but all other determinants are still the same. The price moves along the demand curve and leads to a change in the quantity of a good, vice versa. A shift of demand curve arises, when other determinants except of the price are changing. The most important determinants are income, taste, population and prices of other goods, which are described in the following (see Mankiw 2012, p. 83 ff.). If the income arises, there is more money available to spend for most goods. If the income decreases, there is less money available; the consumers have to save money. The taste of the consumers can change.  One example is music. A specific artist was in the 90s very popular, but today the artist is less successful. Less CD’s of this artist will be sold today than in the 90’s. Changes in population can be influence the demand as well. The higher the population gets, the more goods are sold. Also the age profile has influence on the demand. The interests and needs of the population change with the age of the people. The demand of goods for older people arises. Also prices of other goods have an effect on the demand. If the price of ice cream arises, consumers may change to another product, for example yoghurt to satisfy their need for sweet and creamy food. In this case these goods are substitutes (see Mankiw 2012, p. 83ff.). Substitutes “can be used instead of each other” (see Dransfield et al. 2002, p. 8). If the price of ice cream decreases and the demand of ice cream arises, the demand of whipped cream will also increase, because ice cream is often eaten with whipped cream. Ice cream and whipped cream are an example for complements (Mankiw 2012, p. 84). Complements “are used together” (see Dransfield et al. 2002, p. 8). Another example for a complement is a CD and a CD player (see Dransfield et al. 2002, p. 8). The supply shows the quantity of a good, which is sold for a certain price. In contrast to the demand curve, the supply curve makes an upward slope, which means, the higher the price gets, the higher is the quantity of goods supplied. The curve is shown in figure 3. The higher the price gets, the more attractive gets the supply for the suppliers to sell their products. The supply increases, if the price of a good rises, which is the definition of the law of supply (see Dorman 2014, p. 224). Like the demand curve the supply curve can move or shift, if determinants are changing (Dransfield 2004, p. 7). If only the price is changing, the supply is moving along the supply curve. The result is a different amount of goods supplied. A shift of the supply curve arises, when other factors are changing. The most influencing factors are the input prices, technology, the quantity of buyers and environmental and societal factors, described in the following (see Dransfield 2004, p. 7). Every product is dependent from the inputs like ingredients and capacity of work. If the prices of these inputs are rising, the margin gets lower till a point, where the profitability is nearly lost. Suppliers will close their production, the market for the good will sink and the supply curve will swift to the left. Another factor is new technology. The mechanisation of processes for example increases the quantity of goods per time and decreases the producing costs of the good. The margin is higher than before, which makes the market attractive for other suppliers. The supply will increase and the supply curve will shift to the right. Besides, the demand curve depends on the quantity of suppliers active on the market. The more participants are at the market, the higher is the amount of supplied goods. Last but not least the supply curve is dependent from environmental factors like natural disasters, epidemics or changes of public opinions to goods, which have influence on the production factors and costs of goods (see Mankiw et al. 2012, p. 90 ff.). Remembering the laws of demand and supply, they both have an effect on the price. If the price is higher than the consumers are willing to pay, the amount of goods supplied rather than expected. On the other hand, the price will increase, if there is a limited amount of goods for a larger group of consumers. The supply and demand curves meet each other in one point. The so called equilibrium is the situation, where demand and supply are equal and defines the price of the good, the equilibrium price as shown in Figure 4 (see Mankiw et al. 2012, p. 93).